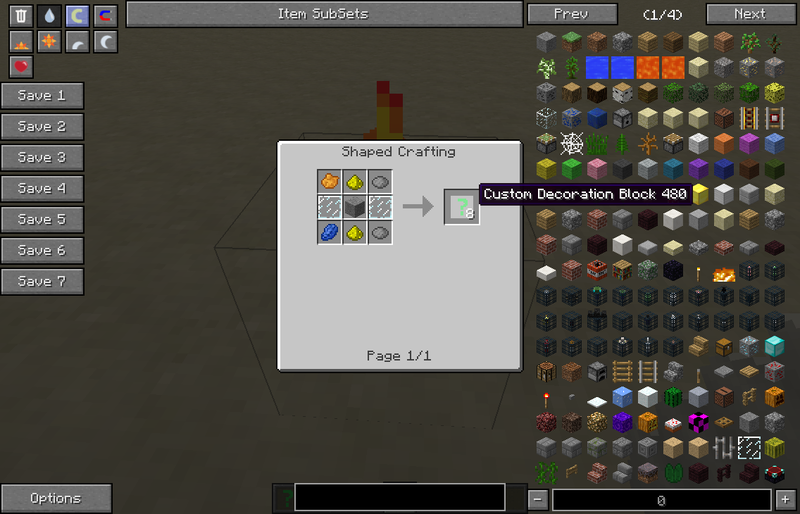 BluDecorations is a mod stemming from my first delving into 3D modeling with Blender and the use of those models in Minecraft. The mod’s premise is the addition of a single block in three tools for its customization. You can freely configure the models displayed by the block and their texture, as well as colour, transparency, positioning, rotation and particle effects. The average user will find that this mod comes with a variety of preset configurations, made by me, which they can adjust to their likings. 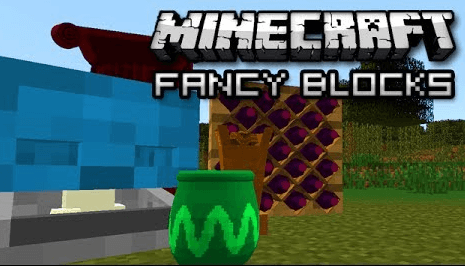 To more advanced users, experienced in the concepts of Minecraft’s resource system, or in forge modding, this mod offers a blank canvas for them to add custom models and textures. This is only one of the few things you can do with this mod. The dyes can be of any colour. The first item of this mod is the Model Wrench. The next Item is the Particle Spraycan. Rightclick them on a configurable block to store the model and particle configurations on the item. Click them on another block to apply that configuration there. To clean the instructions, shift+rightclick. Click the block with them to toggle infinite render bounds. That means that your block will always be rendered, even if the bounding box is not in view. Note that this will obviously increase the load on your system. Users can add their custom models either by different methods. If you’re a developer, you can simply create an addon for this mod. If you do that, you can even use the API to save your models as custom configurations in the preset list. 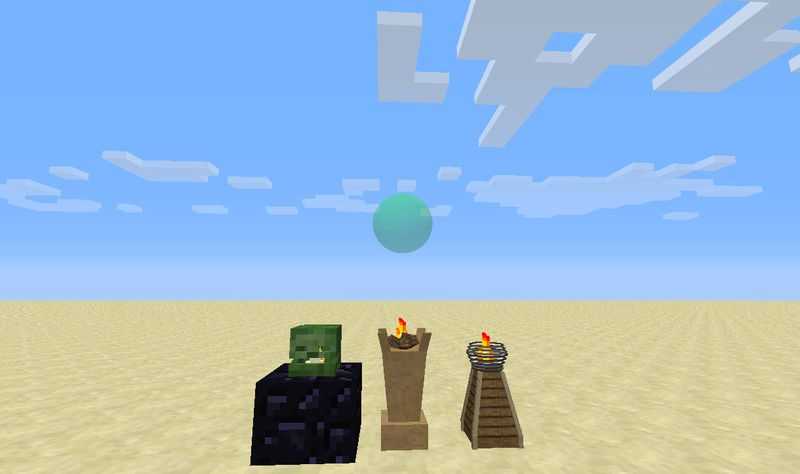 However, the use of a custom resourcepack will also allow you to make your own (or others) .obj files available to Minecraft. It’s probably best to put these models and custom textures (yes you can add those too) in a subfolder of ?assets?. Preferably not inside ?assets/minecraft? The Advanced Model Loader of forge is a bit picky about the models you parse it. Secondly, the parts of the obj model must not contain a ?.’ in their name. However, blender does that automatically. Adding just a second cube mesh results in the name Cube.001. Take care to rename them, or the model loader won’t be able to parse them. I’d advise the use of underscores. Added Feature: Infinity Binoculars. Click the block with them to toggle infinite render bounds. That means that your block will always be rendered, even if the bounding box is not in view. Note that this will obviously increase the load on your system.